It’s been a busy week at the newly dubbed ODO Voice Productions. Editing, meetings, and lots of forward momentum in business. Of course that doesn’t mean that was all I had going on. It was a week, oddly, full of medical visits, but not in a bad way. In the news, it seems that everything revolves around death, if maybe only in the slightest way. Plus a couple of jackasses stopping traffic with their public “affection.” And, I’ve got the results of my completely self serving twitter poll about what you like in the show. 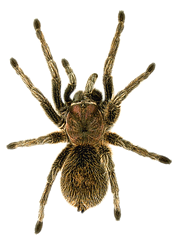 A woman in the UK was so terrified of a spider on her wall that she actually called to order from a food delivery service in order to have the driver kill it for her. Fortunately for her, the driver wasn’t also afraid of spiders and was able to capture the spider and flush it down the toilet. A 73 year-old Australian performance artist, recently spent 3 days buried under one of the busiest roads in Tasmania, to protest “20th-century totalitarian violence in all its forms.” The stunt was done as part of the Tasmanian Dark Mofo Festival, and consisted of burying the man inside of a steel box under the road with no food for 3 days while the pavement on the surface was replaced to allow traffic to continue to flow. 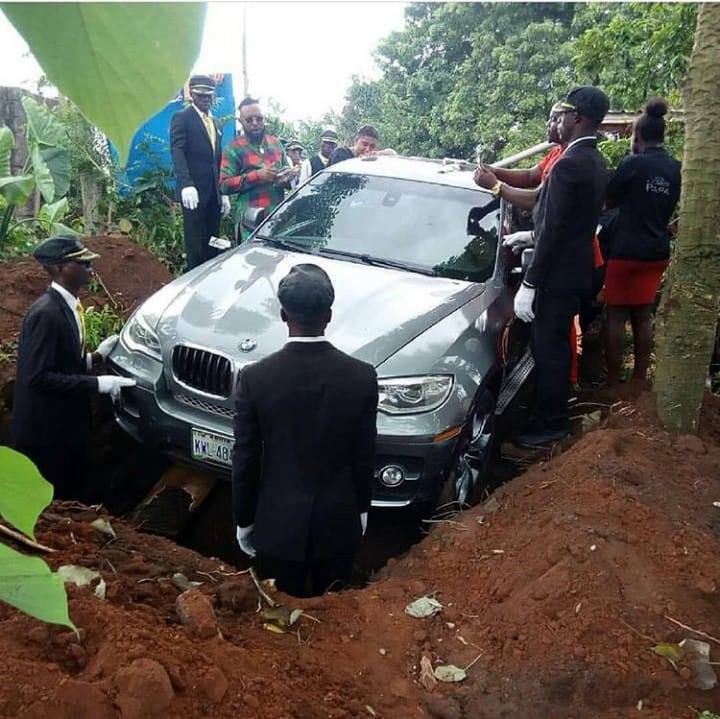 Recently photos of a funeral went viral when a Nigerian man buried his father in a brand new BMW X5 valued at $90,000. Many people online are quite upset that he would spend so much money on a luxury car to bury his dad rather than use it to help improve the lives of the people in the surrounding area. Oklahoma City Police received calls claiming there was a man with his pants down laying on top of a woman under a tree right off the highway. When officers arrived on site, the couple were still going at it and only stopped when they noticed the police walking up. 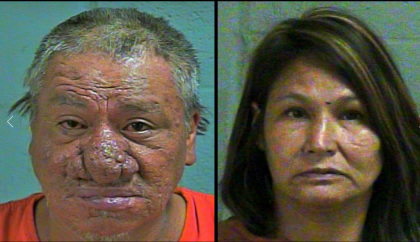 They were both booked for public drunkenness and indecent exposure. What’s your favorite part of the #podcast?